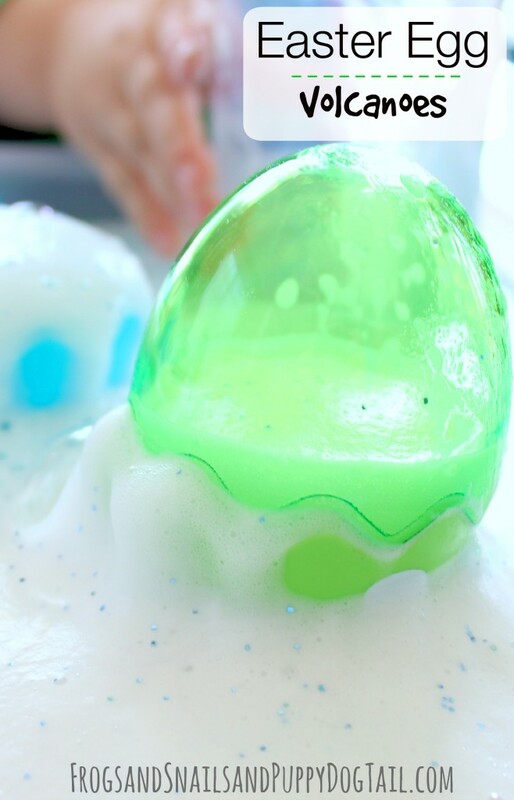 There are some simple science experiments that we just never get tired of. The great thing about having 3 kids all different ages is that each one of them gets to enjoy activities I have done with the other kids before. The older ones have done most of the activities on this site but baby brother is getting to enjoy some of them for the first time. I was a little surprised that an invitation to plan and learn I setup for baby brother was taken over by the older boys. 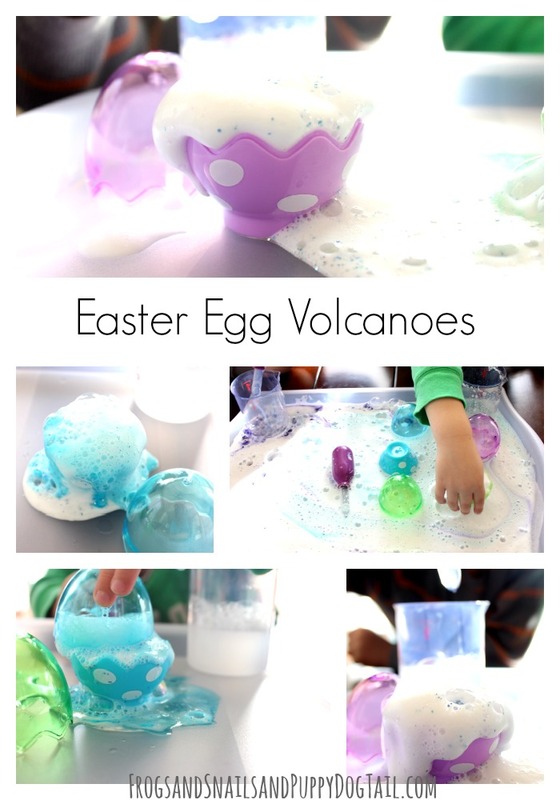 These Easter Egg Volcanoes are loved by all ages. Luckily this experiment is cheap and easy to setup. Baby Brother will get his turn today. 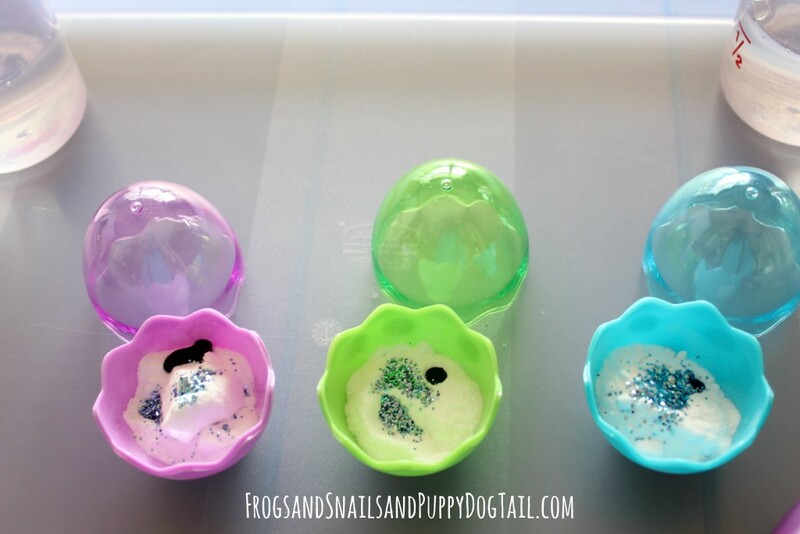 I filled the bottom halves of the plastic eggs with baking soda, food coloring (I used violet, blue, green colored), and glitter. Then placed them on a plastic tray to catch the over flow. Now fill beakers with vinegar and dish soap. Last I put the tray on the table for the older boys. They caught me setting it up during baby brother’s nap time and wanted to play with it at once. 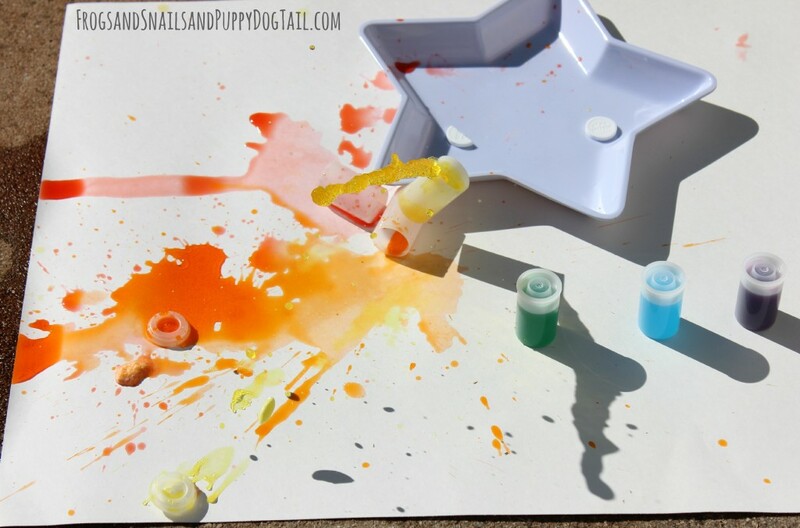 I love that they get so excited about science and sensory play. 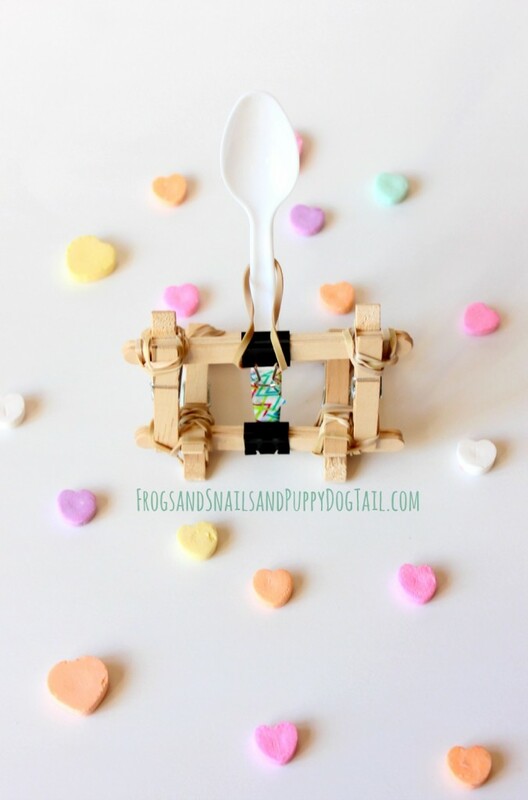 Great hands on learning experience for them. 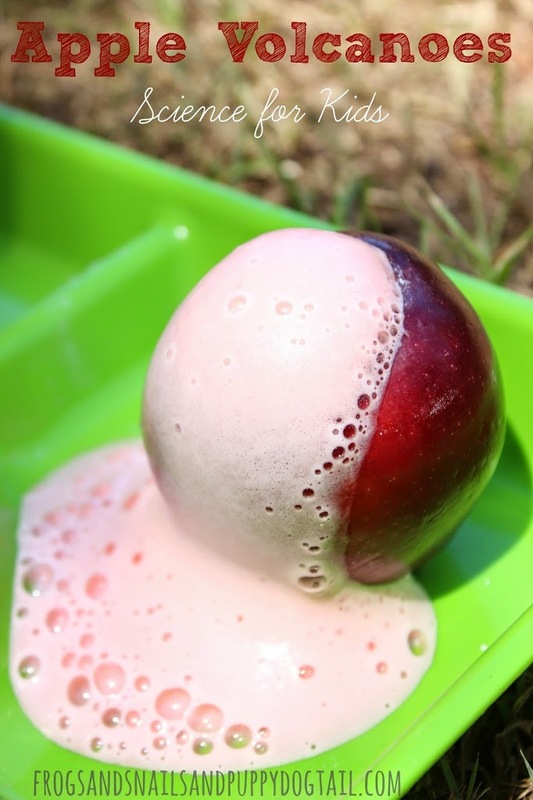 Since they have done this baking soda and vinegar experiment several times they knew what to do. 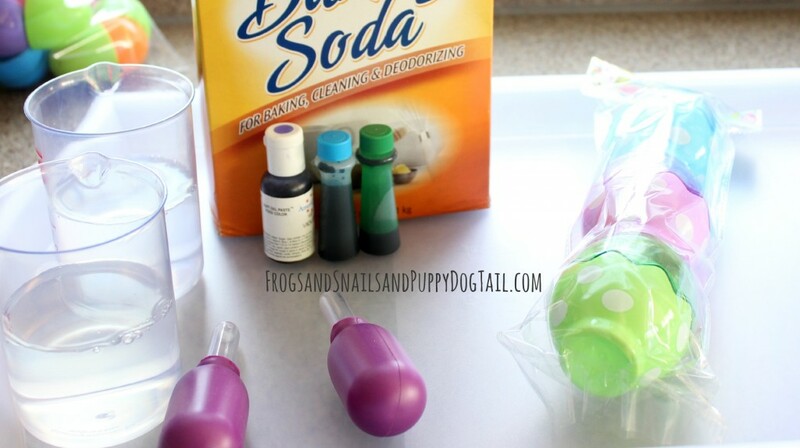 They started filling up vinegar in their pipettes and squeezing it over the baking soda. 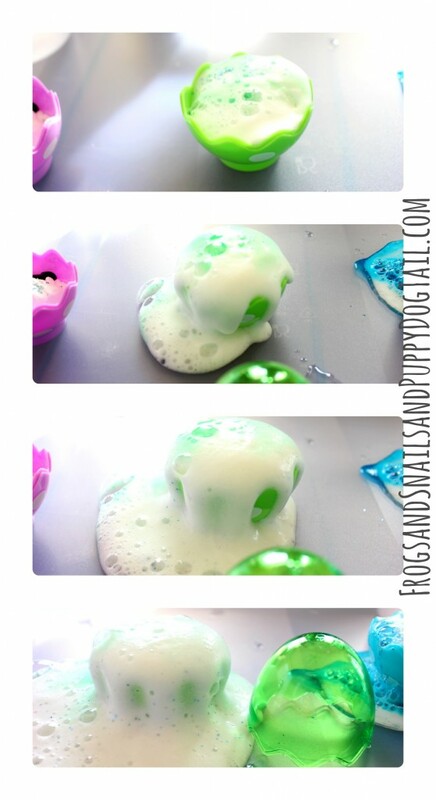 Quickly they saw the foaming and erupting reaction that it makes. This just never seems to get old. I even love getting in there and playing with them sometimes. With baby brother I have a better chance at getting a turn, lol. Our afternoon activity for outside turned into a quiet time activity for the older boys. The tray contained the mess but I do prefer to do this outside when we can. 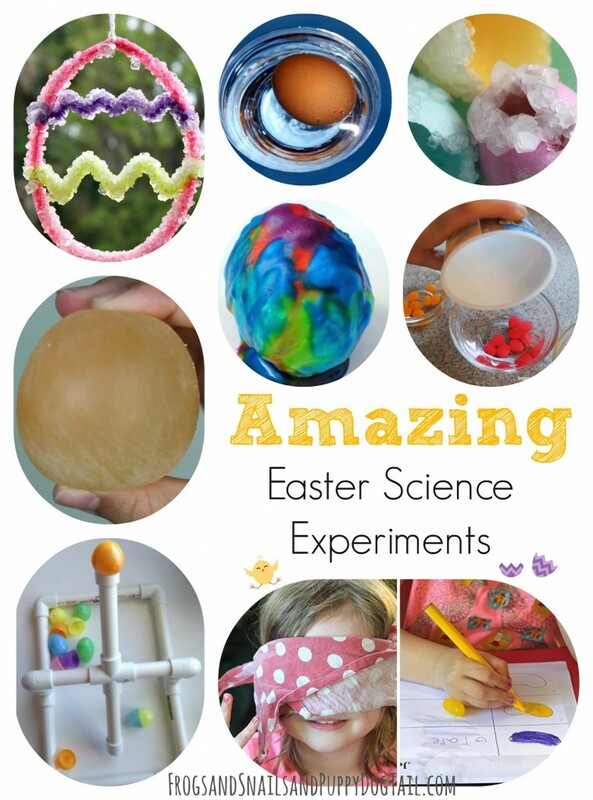 We can’t wait to see what we can make foam, fizzy, explode…. next.